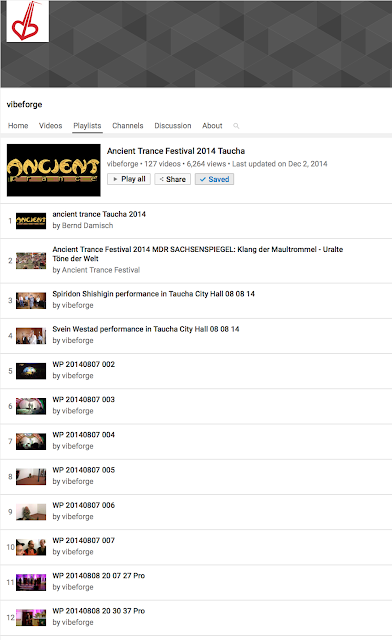 this playlist currently includes the first 6 videos of Olena Podluzhnaya's instructional series, as well as 5 videos by Varvara Stepanovas. these are all of the Yakut style of play. this list will grow and include others as well! -- for now, at the end, the only other video is by Bebbcorp Harpery. sorry can't embed this one --- its worth a look! 1 Якутский хомус Тарабукина; 2 Байкал Венгерский дормб Силади ; 3 Якутский хомус Мальцева. 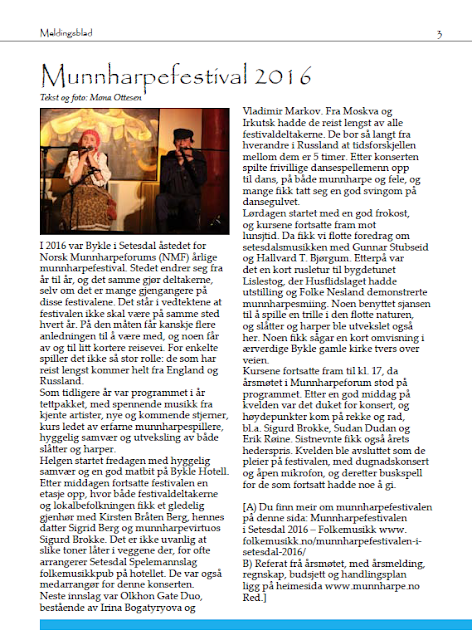 added to playlist "#KhomusWeekly 02"
blir på Nesbyen, Hallingdal frå 15. til 17. september. Set av denne helga nå! Vi kjem med meir informasjon etter kvart. Then there are the concerts: Friday night focus is on the music tradition of the local area; Saturday night is on all/any munnharpe traditions we can muster – England, Netherlands, Russia, Germany, Norway, etc. After the concerts there are the jams, beer, and informal get together. On Saturday there is also the annual general meeting, annual report, accounting, budget and action plan. 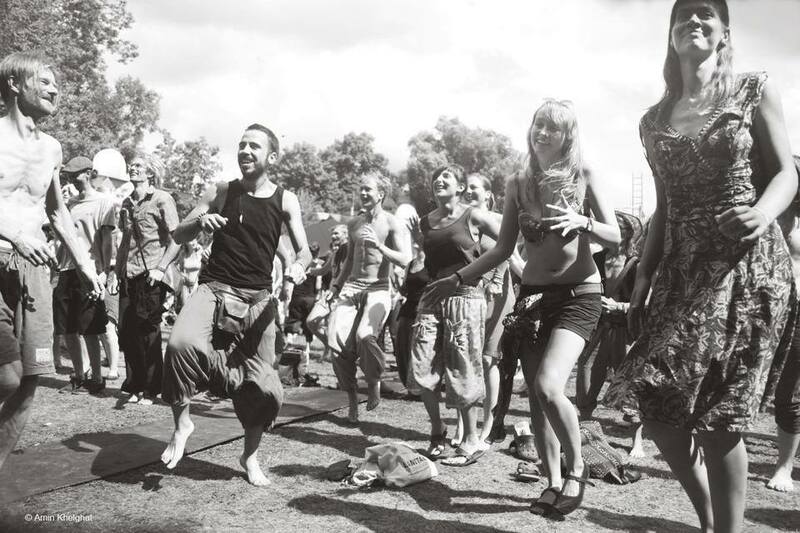 This year's festival will be in a very small town, Nesbyen, which is on the Oslo-Bergen railway line. 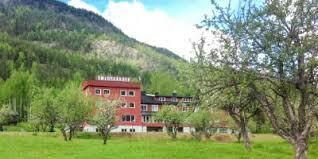 blir på Smedsgården Hotell, Nesbyen, Hallingdal frå 15. til 17. september. På kurset med Sigbjørn Solbakken i hallingspel blir låtane Fru Stenersen og Trulseguten brukt. 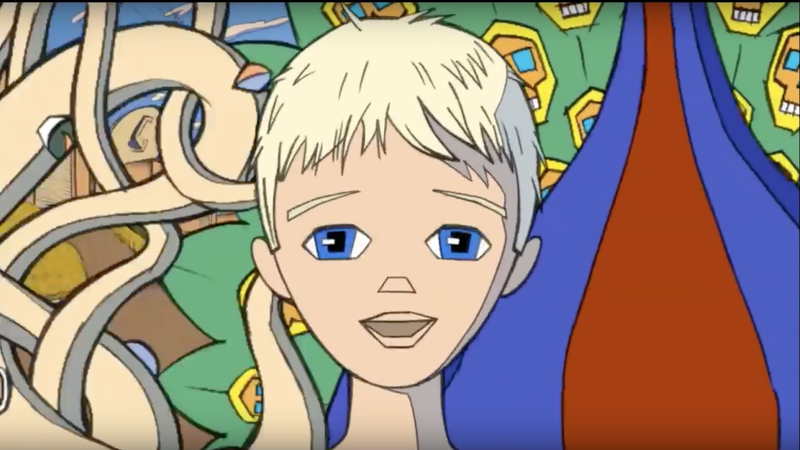 Du kan laste de ned eller høyre på dei ved å klikke på linken. Påmelding til kasserar Sigbjørn Solbakken, epost: kjl-t-4@online.no eller SMS: (+47) 48232746. Dei som melder seg inn i Norsk Munnharpeforum når dei kjem, betaler som vanlege medlemer. Dei betaler NOK 300 for medlemskap for resten av 2017 og heile 2018. Som alle andre som melder seg inn gjennom året, får dei alle nummer av medlemsbladet «Munnharpa» frå 2017 som bonus. Pris inkluderer middag fredag kveld - frukost, lunsj og middag laurdag - frukost og lunsj sundag. Det finns også 2 rom har 4 senger, 2 leilegheiter med 5 senger, og ei hytte med 4 senger. 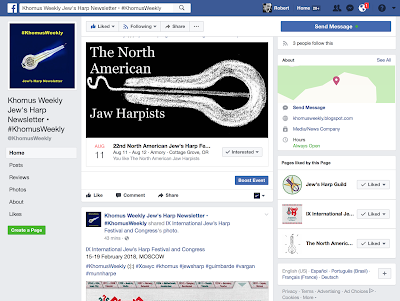 “The Scottish and Irish integrated the jaw harp into their music culture, the English did not,” writes Michael Wright in his book about jaw harps in Great Britain and Ireland, which was published in 2015. Even though the English didn’t play the jaw harp that very often, since the 18th century at the latest England was one of the largest jaw harp manufacturers and exporters. 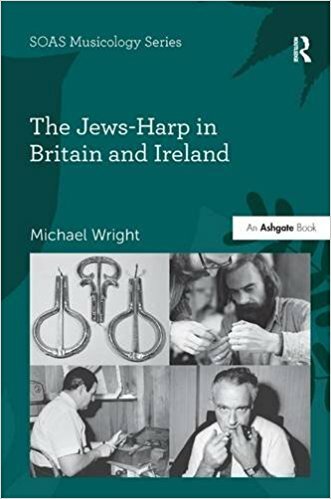 In his detailed book about the British and the Irish “jews-harp” the jaw harp expert Michael Wright contributes important information about the economic and cultural history of the widespread instrument. On what trade routes did the jaw harp get to England and who bought it? Why became Birmingham the center of jaw harp manufacturing? Who built the instruments? 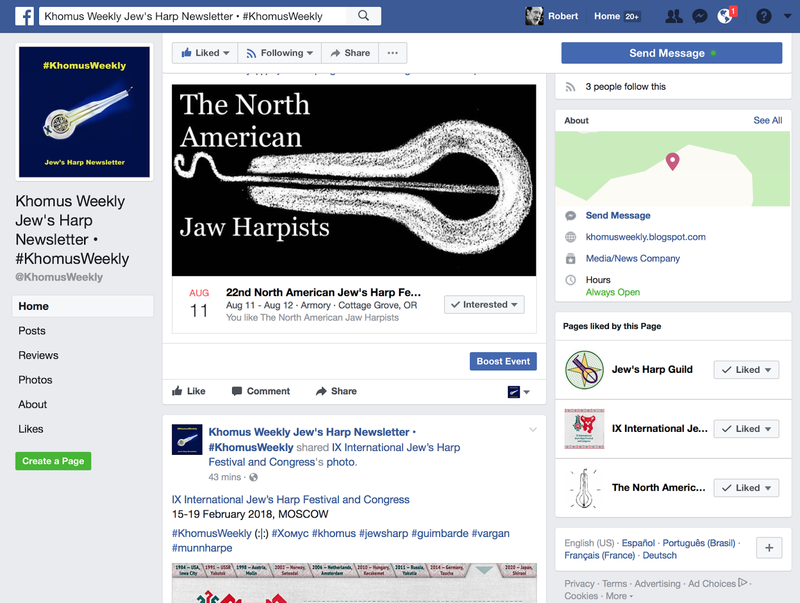 Why is the jaw harp in English called jews-harp? The book is recommended for jaw harp lovers and beginners, but also for experts. It provides the basics of the instrument, uncovers several correlations in the European history of the jaw harp and invites to look into the numerous references from archives about the culture of the instrument and its depiction in the fine arts, architecture and press. And we're looking forward to see you in Taucha/Leipzig/Germany from August 11th to 13th 2017. Die Maultrommel als eines der ältesten Instrumente der Menschheit wird mit ihrem Klang zum Mittler zwischen den unterschiedlichsten Stilen einer jungen, internationalen Musikszene. 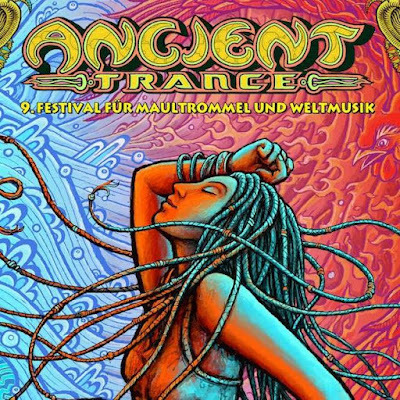 Auf den Spuren der Schamanen verbinden sich verschiedenste traditionelle Sounds – und führen über die alten ethnischen Wurzeln zu sehr moderner ekstatischer Weltenmusik. * (google translate): Is an exchange of music cultures. The Maultrommel is one of the oldest instruments of mankind with its sound as a mediator between the most diverse styles of a young, international music scene. In the footsteps of the shamans, a variety of traditional sounds are combined - and lead to very modern ecstatic world music through the old ethnic roots. Instruktørar på smikurset var Stein Terje Mathisen, Sven Håkon Jørgensen og Alexander Sørnes. In 2016 Bykle in Setesdal was the scene of Norwegian Munnharpe Forum's (NMF) annual mouth harp festival. The location changes from year to year, and so do the participants, although of course there are many regulars. 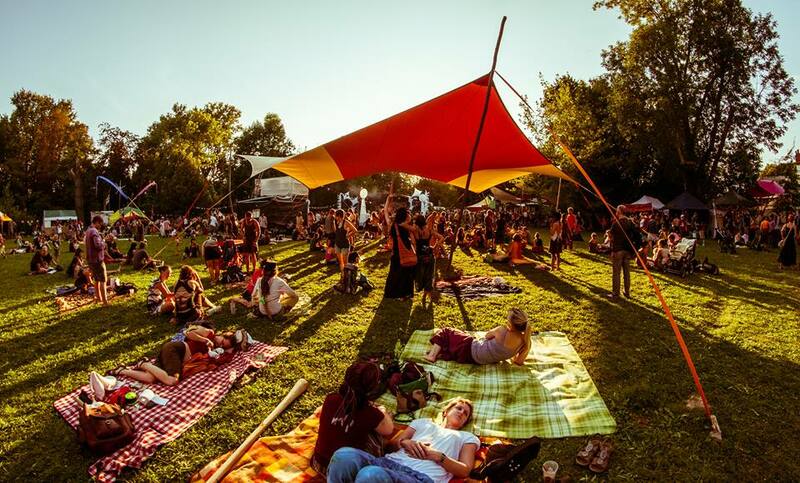 It's in the bylaws that the festival should not be in the same place every year. In this way, perhaps more people have the opportunity to join, and some may even have slightly shorter distances to commute. For some people that does not really matter: those who have travelled farthest come from England and Russia. 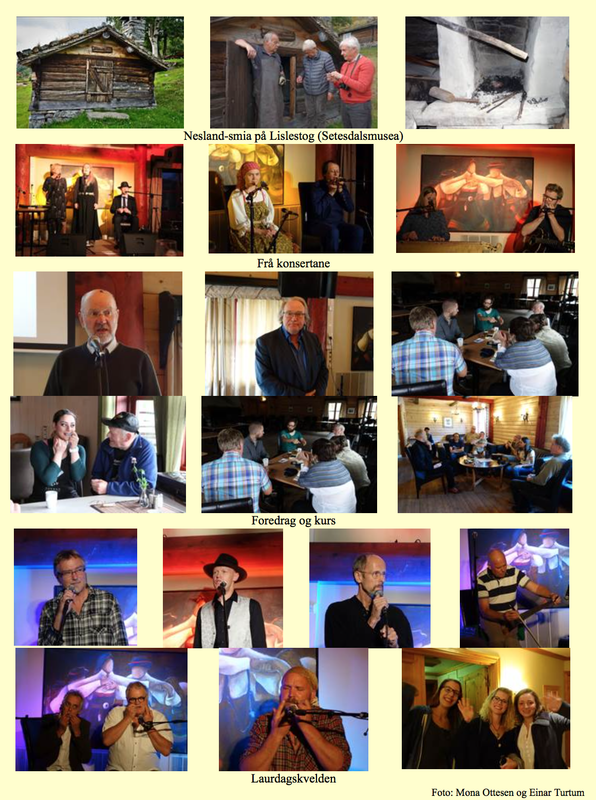 As in previous years the programme this year was packed with exciting music from capable artists, new and emerging stars, workshops led by experienced munnharpe players, pleasant company and swapping of both tunes and mouth harps. The weekend started on Friday with pleasant company and a good bite at Bykle Hotel. After dinner festival continued one floor up, where both festival goers and locals enjoyed a meeting with Kirsten Braten Berg, her daughter Sigrid Berg and munnharpe virtuoso Sigurd Brokke. 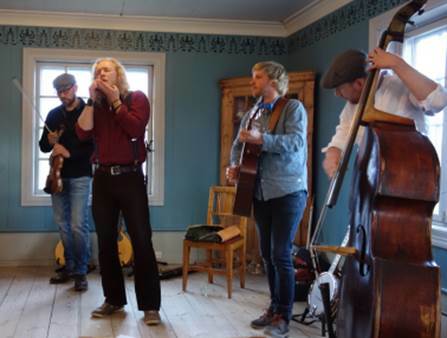 It is not unusual that such tunes resound in the walls because Setesdal Spelemannslag often organize folk music pubs in the hotel. They were also the co-organizer of this concert. The next act was Olkhon Gate Duo, consisting of Irina Bogatyryova and Vladimir Markov; they had a very nice performance. 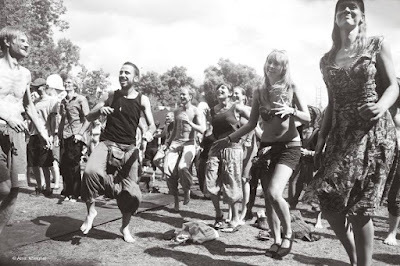 Coming from Moscow and Irkutsk they had travelled the farthest of all festival participants. They live so far apart in Russia that the time difference between them is five hours. After the concert volunteers played to dances on both munnharpe and fiddle, and many had the chance to enjoy a good fling on the dance floor. Saturday started with a good breakfast, and music courses continued towards lunchtime. Then we got a great lecture on setesdal music by Gunnar Stubseid and Hallvard T. Bjørgum. Afterwards there was a short stroll to the museum Lislestog where the Handicrafts team had an exhibition and Folke Nesland demonstrated munnharpe forging. Some used the opportunity to play a melody in the great outdoors, and tunes and harps were also swapped here. Some had even a brief tour of the venerable old Bykle church across the road. 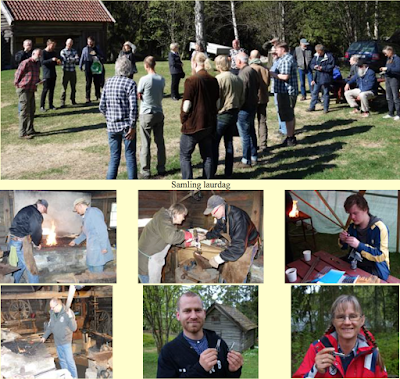 The courses continued until five, when the annual meeting in Munnharpe Forum took place. After a good dinner in the evening it was time for another concert, and highlights came in a row, including Sigurd Brokke, Sudan Dudan and Erik Røine. 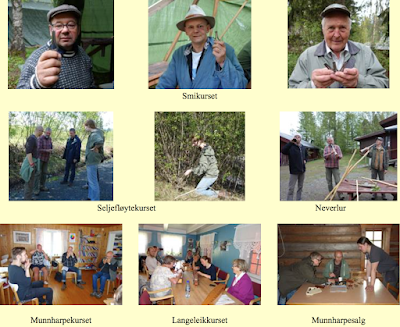 The latter was also appointed Honorary Member of Norsk Munnharpeforum. The evening concluded as always at the festival, with volunteer concert and open mic, then late night jamming for those who still had something to give.